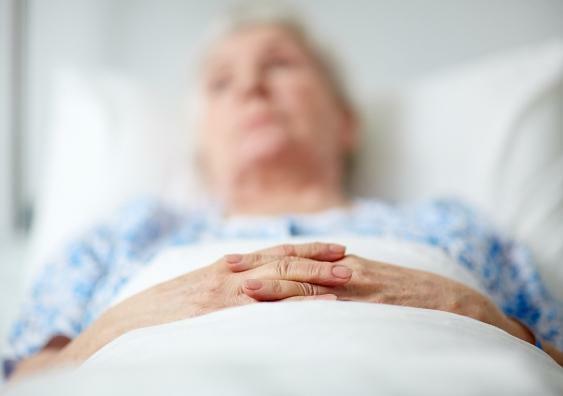 The mandated practice of two-hourly repositioning of residents in aged care facilities to prevent bedsores is ineffective and could be causing more harm than good, a University of New South Wales (UNSW) study has found. In a paper published recently in Bioethical Enquiry, researchers say two-hourly repositioning is not only ineffective at preventing pressure ulcers (bedsores) from developing, but it is suspected of causing behavioural problems by interfering with residents’ sleep patterns. The study also concludes that the ritualised two-hourly repositioning of residents could be a form of unintentional institutional abuse. The study examined the medical and nursing records of 80 deceased residents from eight Registered Aged Care Facilities (RACFs) in Australia to determine how two-hourly repositioning impacted residents who were identified as being at risk of pressure ulcers, and whether they had ulcers in their last week of life. It found that while 91 percent of residents, who were deemed at risk of developing bedsores, were physically repositioned in their bed every two hours through day and night, more than a third of them had one or more of these excruciating skin conditions when they died. Study author Professor Mary-Louise McLaws of UNSW’s School of Public Health and Community Medicine says that while RACFs are required to practise two-hourly repositioning and do so with the best intentions, the practice is harmful to elderly residents. “My first thought was that the practice of two-hourly repositioning would cause sleep deprivation and that it is simply torturous,” Professor McLaws says. Professor McLaws and her co-authors say the best proven method of preventing bedsores is the use of alternating pressure air mattresses (APAMs). “These mattresses relieve pressure all over the body every few minutes, continuously and gently so as not to wake or disturb the sleeper – at a frequency that human repositioning cannot match,” Professor McLaws says. Until now, the issuing of APAMs to at-risk residents has been minimal to non-existent, and the study notes that nurses and care staff lack the authority to order in such equipment, while RACF managers tend to believe APAMs are expensive. However, the study found the actual cost of these devices to be around $1.40 a day per resident and observed they were available on government contract. While Professor McLaws says APAMs are an initial expense upfront, and there’s been limited published evidence on how they can help prevent pressure ulcers, she says they would be more cost-effective than repositioning. “A study carried out decades ago showed that APAMs were more cost-effective than the practice of repositioning. And when you look at the costs of prevention, they are substantially lower than those required to treat severe pressure ulcers,” she says. Professor McLaws recently made a submission to the Royal Commission into Aged Care Quality and Safety that included both recently-published papers on pressure ulcers as evidence. This followed evidence given to the royal commission by co-author Catherine Sharp which drew on her clinical nursing experience. “It was a great opportunity to be able to share our knowledge on pressure ulcer management with the Commission,” Ms Sharp says.